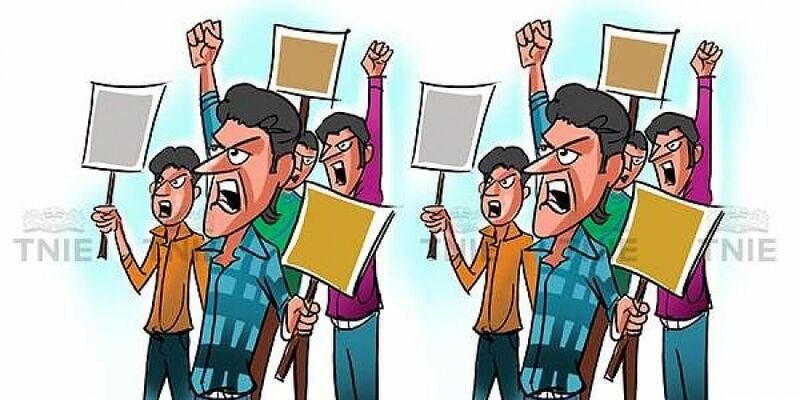 Meanwhile, APSSC aspirants across the State are staging protests, demanding the government to release more notifications for recruitment to vacant posts. Aspirants are protesting as officials have released notifications for 500 posts contrary to their promise of more than 6,000 jobs. VIJAYAWADA: After releasing notification for posts of assistant executive engineer and forest range officers, Andhra Pradesh Public Service Commission (APPSC) is planning to release some more notifications by this month-end. On Thursday, the officials released a notification for filling 23 posts of assistant motor vehicle inspector (AMVI). Notification for Group 2 or Group 3 posts may be released by the end of this month. According to APPSC officials, between 500 and 1,000 posts are going to be filled by the end of December. Speaking to TNIE, APPSC chairperson P Uday Bhaskar said candidates can apply for the vacant posts as one or the other notification will be released almost every day. “As per the government directions, recruitment to vacant posts will be done in a transparent manner. We are yet to receive some indents from the departments and once received, we will issue the notifications. Though the candidates are awaiting the notification of groups, they would be released once we get the indents. We are planning to release either Group 2 or Group 3 notification by December-end and the remaining in January and February 2019.” This apart, the APPSC officials are also planning to release the notification so as to avoid a clash with other public examinations and UPSC calendar. “Based on the availability of dates, we would release the calendar and also release the notification. And take care that they do not clash with other examinations,” Bhaskar said. Between 30 and 40 notifications will be released to fill 6,000 vacant posts within a span of six months to one year, he added.